If you want to record high-quality audio, you shouldn’t rely on the built-in camcorder microphone. Not only are they of mediocre quality, but they also pick up camera noise, the sounds of you handling the camera and pretty much every ambient noise you don't want to capture. Instead, you should be using an external mic for your video camera, which will pick up sounds more clearly and accurately. But buying an external mic for your video camera can be a tricky proposition: you’re faced with lots of choices, and it can sometimes be difficult to make a decision. These tips are designed to help you pick out an external camcorder microphone. The camcorder microphone you buy will be dictated by the type of external mic connection built into your video camera. Consumer camcorders often have a stereo jack for attaching an external mic, while higher-end camcorders will have an XLR jack for connecting a mic. Before you buy an external microphone, be sure to check what kind of input your camcorder has, and pick out a microphone that will fit the jack. You can also visit your local electronics store and buy a camcorder microphone adapter, which will allow you to connect most any external mic to the input jack on your camcorder. 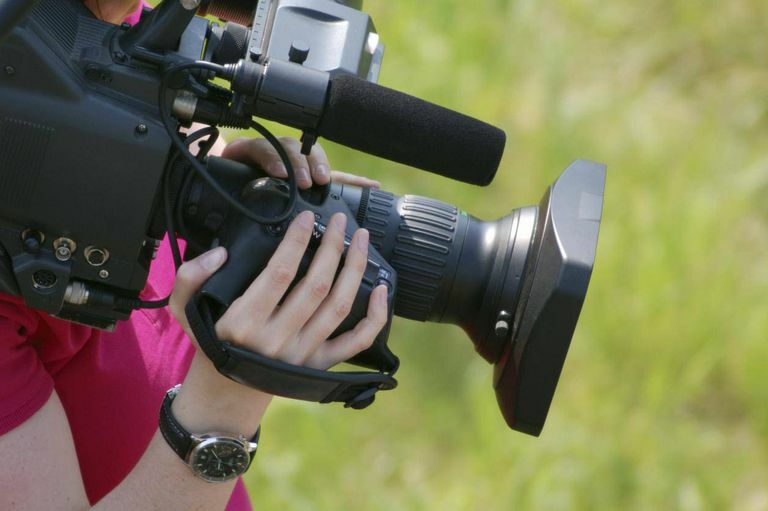 There are three main types of camcorder microphones to choose from: shotgun, lapel (or lavaliere) and handheld (like newscasters or musicians use). Each type of external mic is suited to a different type of video production, and ideally, you’ll be able to purchase one of each kind. Lapel microphones are great for video interviews. You attach them to the subject’s shirt, and they’ll pick up the person’s voice very clearly, as well as any sound that is close to the mic. Lapel microphones are also very useful when recording wedding videos. Handheld microphones are usually pretty heavy duty and durable. They work great for picking up nearby sound (so your subjects need to speak right into them). However, they definitely lend a very “newsy” look to your video, so they’re best used if you’re going for that newscaster look, or if the speaker is not going to be seen on camera. Most types of camcorder microphones are available in wired and wireless versions. Wired camcorder microphones connect directly into your camera. Wireless microphones, on the other hand, come with a receiver and a transmitter. The transmitter is connected to the microphone, and the receiver is connected to your camcorder. Wireless camcorder microphones are very handy because you can record audio that is very far away from your camera. However, they are also much more expensive than wired microphones, and you have to take into considerations things like range, signal interference, and battery power. Once you’ve decided on the type of camcorder microphone that you’re going to buy, you still have to choose a make and a model. There is no one external mic that’s best for everyone, so you’ll have to do some research to find one that fits your needs and budget. Read reviews, talk to video producers, and get your hands on as many camcorder microphones as possible so that you can hear the audio quality for yourself. Invest in a quality external mic now, and you’ll be able to use it for years down the road. Whether you’re shooting in HD or for the internet, a good camcorder microphone will always be necessary.